I’m Halloweening and I can’t stop! 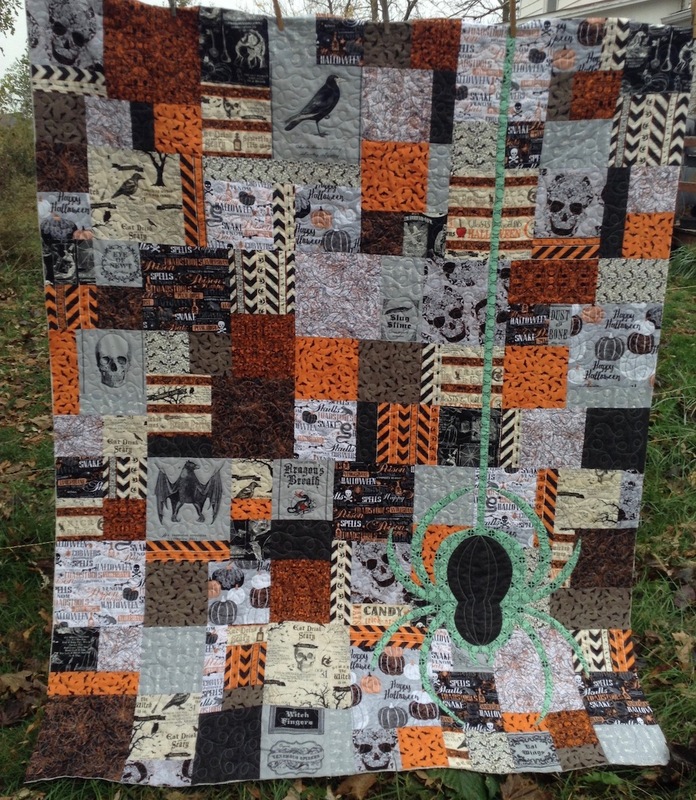 I seem to really be into fall and Halloween this year, and I made yet another Halloween project over the weekend. This cute little spider pillow! Can spiders be considered cute? I don’t know. I don’t like seeing them in my house, but this guy is OK, since he’s on a pillow. This year, I decided to reduce the spider down in size and paint him on this piece of upholstery canvas with a fabric paint marker. 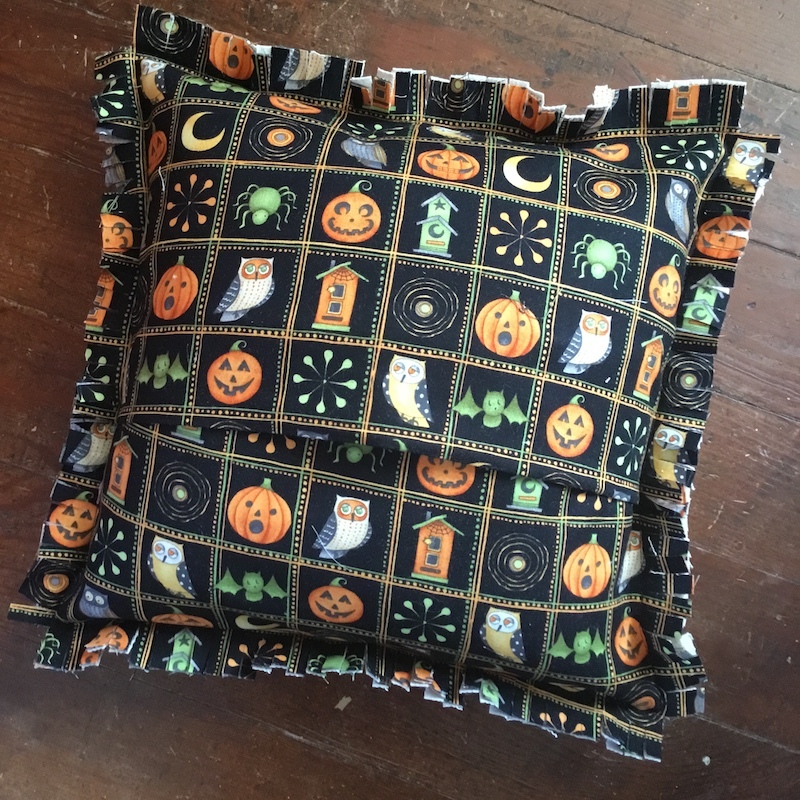 I chose a fun Halloween print for the back, and used two folded pieces of the fabric to make an envelope back for the pillow. Then I just sewed them together, wrong sides facing, in from the edge about an inch, then snipped the edge to make it fringed — super fast and easy! Sewing around the edge is the only seam on this pillow! 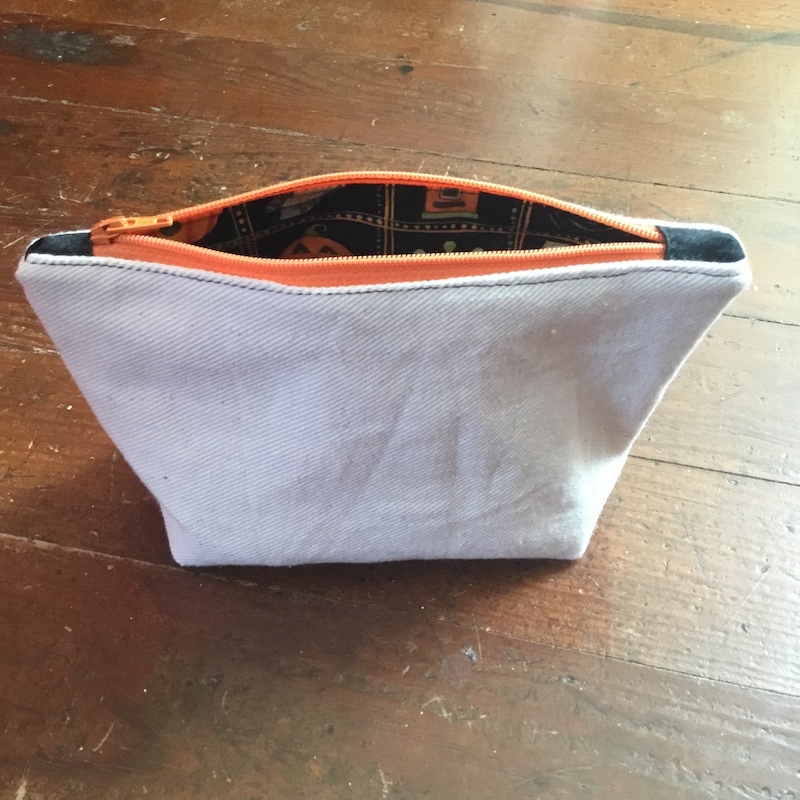 Out of the leftovers, I made this cute little zipper pouch. I’ve been zipper pouching lately, too, and I can’t seem to stop that, either. I put the canvas on the outside, and used the Halloween print on the inside for a little Halloween-ish surprise! 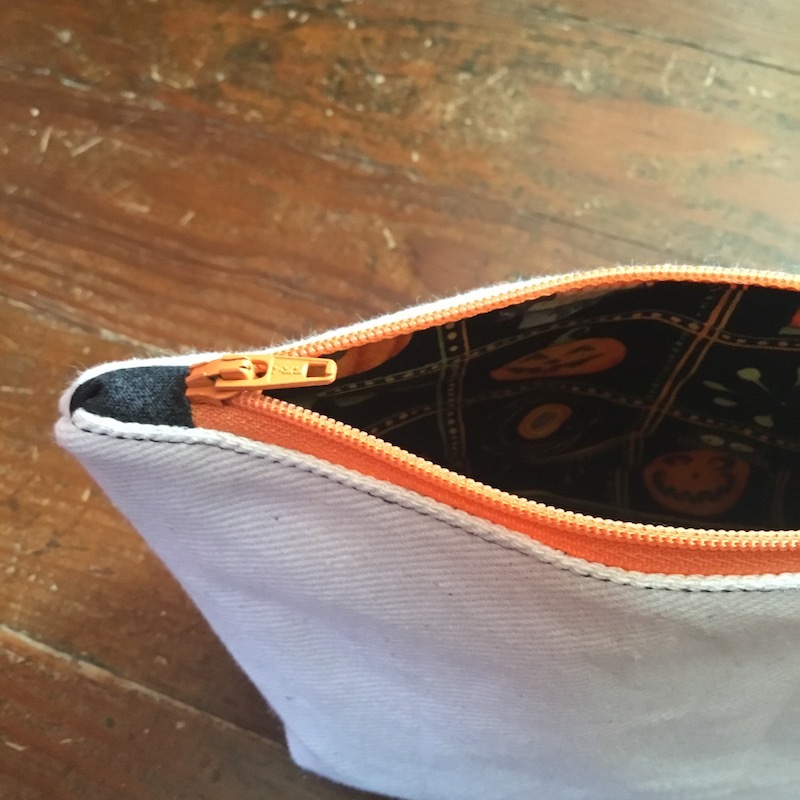 I used THIS tutorial for my zipper pouch, but made it smaller to fit my leftovers. 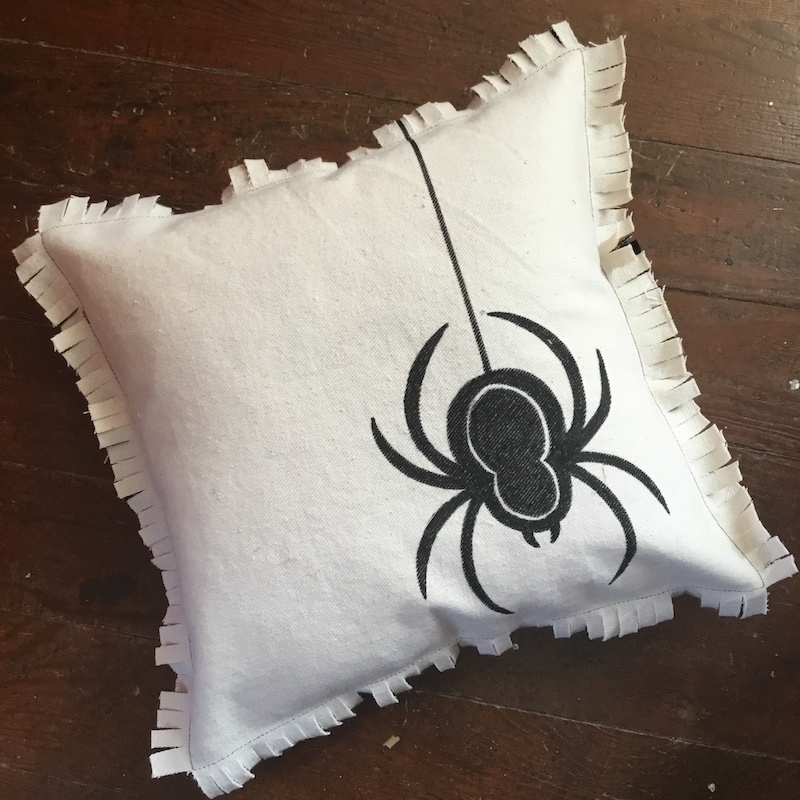 If you want to make your own spider pillow, the spider pattern is available for free on my Free Patterns page. Just download it and reduce the size to fit whatever item you want to put it on. Or if you don’t want to make it for yourself, I have the pillow AND the zipper pouch both listed for sale in my Etsy shop. Instant Halloween decorating! How generous. Thank you. All cute projects. In real life I don’t think spiders are cute, but it looks good on that pillow. I may use it on a trick or treat bag for my grandson.